The campus war is in full force leading up to the Sweet 16 showdown between Florida and UCLA. 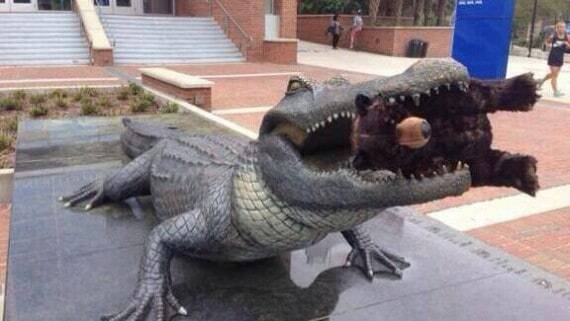 On Monday, a photo of a blowup alligator placed in the mouth of a statue on UCLA’s campus surfaced. Just like we called it, it wasn’t long before the Gators bit back.